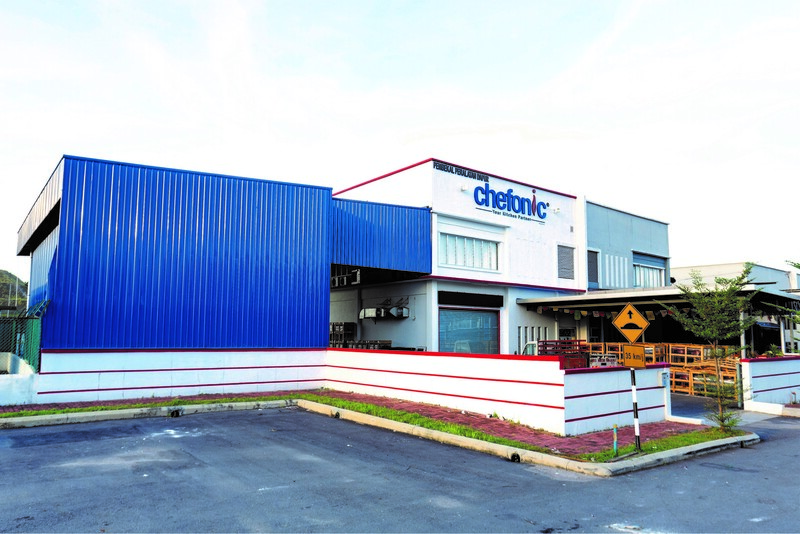 Chefonic Kitchen Equipment Sdn Bhd was founded in 2011 with a mission to become one of the leading professional cooking and foodservice equipment suppliers. We have a professional modern showroom, spacious warehouse, parts store, and office located at Alfa Impian Industrial Park, Balakong. To accommodate with our mission and deliver premium services to our customers, we are providing support with experience and professional team in consultancy, kitchen design, sales & marketing, customer services, and technical support. The name Chefonic is derived from the combination of word ‘Chef’ and ‘Inox’. ‘Inox’ steel in metallurgy, is commonly know as stainless steel. With this ‘Chefonic’ forms and it implies a chef’s choice of quality stainless steel in commercial kitchen equipment. Chefonic is our flagship brand of quality and professional cooking equipment for both consumer and professional user. On the other hand, we are also the authorized dealer in Malaysia for many renowned brands, such as: Convotherm, Electrolux, Manitowoc, Zanussi, Tecnoinox, Firex, Tournus, Hatco, Vito and Ovention. We provide one-stop solution to client within the hospitality industry which cater clientele of diverse budgets, from middle range to highest end of commercial kitchen equipment befitting 4 and 5-stars hotel projects. Our goal is to provide client with international quality at an Asian price structure as the key element to customer satisfaction. In time to come, Chefonic commits to grow in tandem with all stakeholders, include chefs, customers, our principals, users, market leaders and strengthen our position in line with the changing consumer and industry demands.